Lorde heads to Coachella in a seriously edgy outfit with a touch of 'Where's Wally' about it. 6. 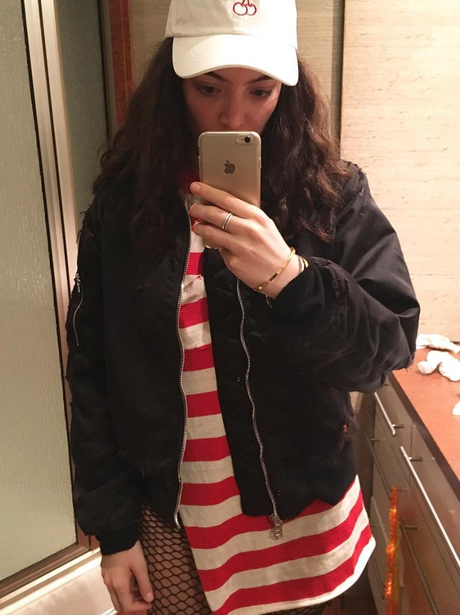 Lorde heads to Coachella in a seriously edgy outfit with a touch of 'Where's Wally' about it.